Workers are fed up. Fed up with companies like McDonald’s that rake in billions each year while workers can’t make ends meet. Fed up with impossible choices – between paying bills, feeding our kids or just keeping a roof over our heads. And we won’t be ignored any longer. 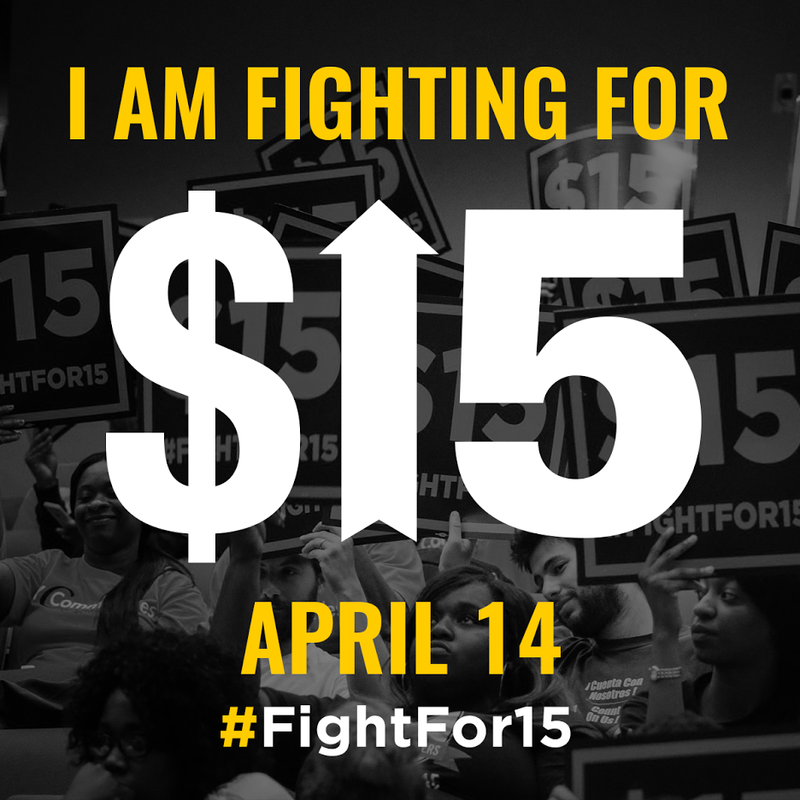 On April 14 across California, we’re standing up for $15 and union rights. Will you be there with us? YES! It’s time for $15 and union rights. I want to stand with workers on April 14! We are already winning this fight. We’ve won $15 in Seattle, Los Angeles, San Francisco, and New York. 11 million Americans have won raises since the Fight for $15 began three years ago. We can’t stop now. Join us on April 14th to show that California supports $15 and union rights – for our state and for all working Americans. Click here to sign up for more information on actions you can join on April 14th. See you on April 14th! This entry was posted in All News, Events and tagged fair wages, Fight for 15, labor rally, union, workers rights on March 22, 2016 by admin.